Henry and Rose Make Contact is a sequel to Henry and Rose Go to Camp. 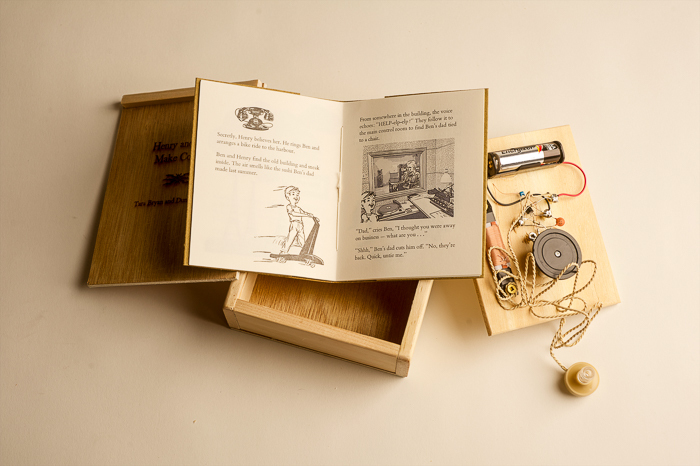 In this story, Henry makes a crystal radio as a Scout project, and gets it to work only to hear a distress call. Rose figures out where the signal is from, and Henry, his friend Ben, and Rose manage to save the day. Hand-set in Bembo Roman and Baskerville monotype, the text is letterpress printed on Environment Text paper and has letterpress and inkjet illustrations. The cover is St. Armand handmade paper. 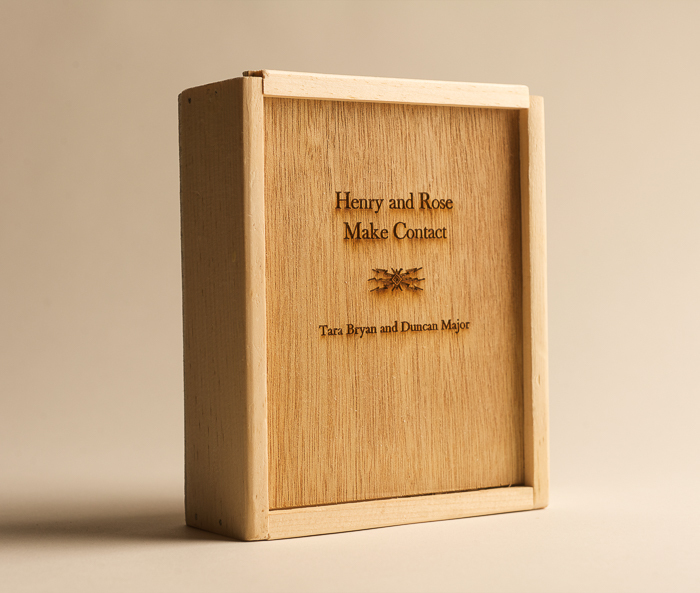 The wooden boxes were made by Garry Quinlan and laser printed at the College of the North Atlantic with the help of Ken Holden. 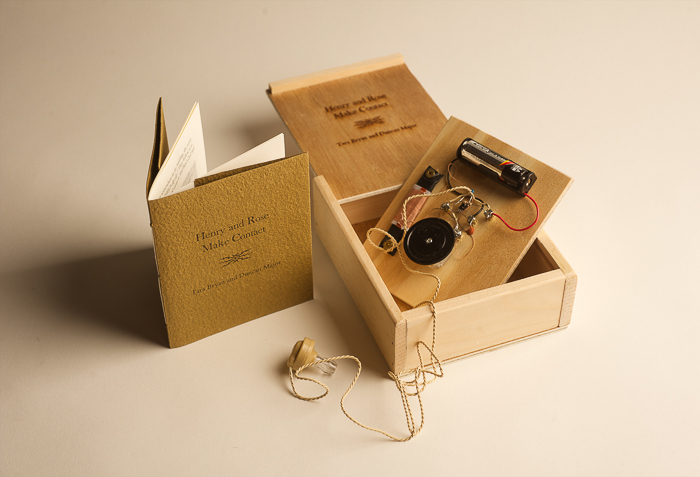 Radios were assembled by the authors with the invaluable assistance of Joe Craig. Edition of 30. US$225 plus shipping and taxes where applicable.